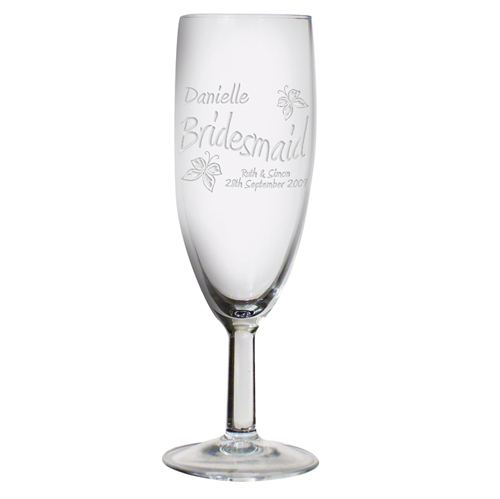 Featuring a delicate butterfly design, this Elegance Flute Glass is perfect for personalising. This stunning flute is beautifully laser engraved with a butterfly design. The flute is also personalised with a name, a role and couple's name and date of wedding. All the personalisation is laser engraved in an elegant font with the person's role in a pretty wave across the centre of the glass.